Dr. Shikare completed his MBBS, DRM, and DNB. He is a diplomate of the American Board of Nuclear Cardiology, and a Fellowship of the European Board of Nuclear Medicine. 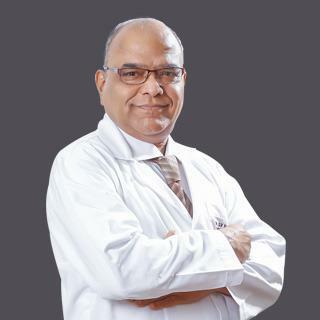 Dr. Shikare has been trained in Nuclear Medicine at Royal Prince Alfred Hospital, Sydney, Australia, at the Institute of Medicine at Julich, Germany, and at the University of Munster, Germany. Dr. Shikare has started the Department of Nuclear Medicine at Al-Zahra Hospital Sharjah, UAE in June 1998 & is successfully running it to date as Consultant and Head of Nuclear Medicine. Prior to joining this hospital, Dr. Shikare worked as a Lecturer and then an Associate Professor of Nuclear Medicine at Seth G.S. Medical College and K.E.M. Hospital, Bombay, India for seven years. He subsequently worked as a Consultant and Head of Nuclear Medicine Department at Dr. Balabhai Nanavati Hospital, Bombay, India for three years. Dr. Shikare has several national and international publications on his name. Dr. Shikare speaks English and Hindi. Diplomate of the American Board of Nuclear Cardiology. Fellowship of the European Board of Nuclear Medicine.